The English conductor and French horn player Stephen Bell studied conducting at the Royal College of Music under the renowned conductor Norman Del Mar, before taking up the position of principal french horn with the BBC Concert Orchestra. 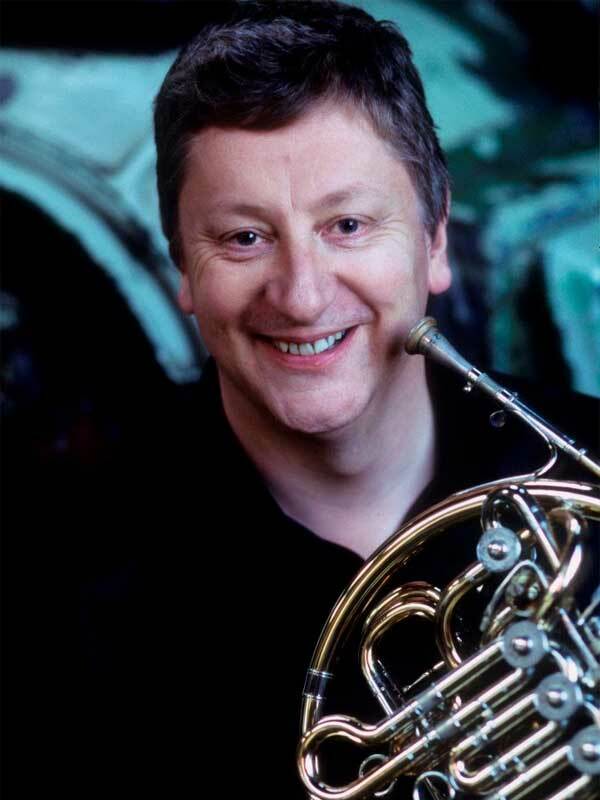 Stephen is also a founder member of Britten Sinfonia and solo horn with the Haffner Wind Ensemble of London, with whom he has made several recordings for BBC Radio and commercial release. The ensemble toured the USA and Scandinavia as well as the UK, including festival appearences at Cheltenham, Aldeburgh, the BBC Proms and a critically acclaimed debut in New York. Stephen has appeared as a soloist with many of the UK’’s leading orchestras, including Northern Sinfonia, BBC Concert Orchestra and English Symphony Orchestra, and has peformed Benjamin Britten’s Serenade for Tenor, Horn and Strings with numerous tenors and the Britten Sinfonia in concerts and broadcasts. He also plays guest principal horn with major UK orchestras including the London Symphony Orchestra, Philharmonia Orchestra, Royal Philharmonic Orchestra, BBC Symphony Orchestra and London Philharmonic Orchestra. In recent years, Stephen Bell has found himself increasingly in demand as a conductor for a wide variety of groups, including the Adderbury Ensemble. Leading orchestras whom he now regularly conducts include the Royal Philharmonic Orchestra, BBC Philharmonic, Hallé Orchestra, Britten Sinfonia, Ulster Orchestra, Guildford Philharmonic, Brighton Philharmonic, London Gala Orchestra, BBC Concert Orchestra, London Concert Orchestra, Manchester Concert Orchestra, Southbank Sinfonia and Elgar Chamber Orchestra. Stephen’s discography includes critically acclaimed CDs on the ASV, Naxos and Dutton labels. He released his first disc with the Elgar Chamber Orchestra, for Sanctuary Classics. He has since recorded with the Royal Philharmonic Orchestra and has extensive broadcasting experience too, frequently conducting orchestras such as the BBC Concert Orchestra, Hallé Orchestra and Ulster Orchestra for BBC Radio, Classic FM and BBC Television.